What a wonderful time of the year to visit a most joyous place. A place you can let go of your inner child and frolic the streets of whimsy London, set back in the 1800s. 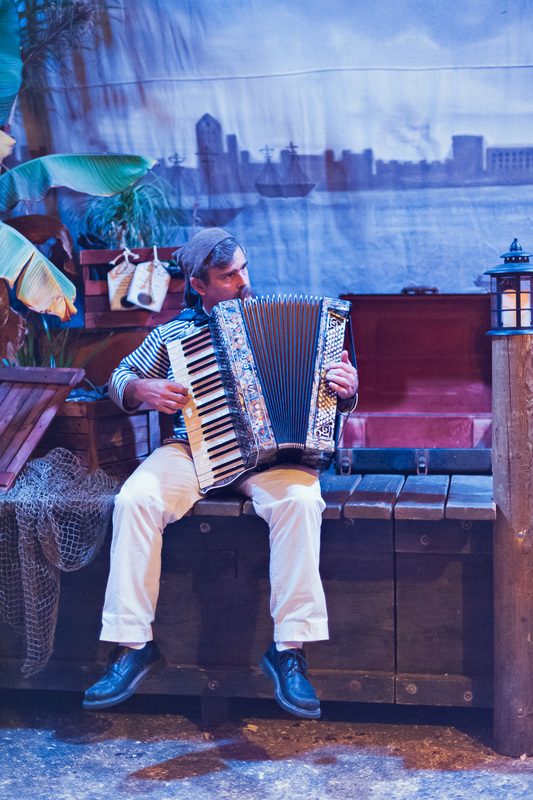 Only running for two more weekends, this San Francisco event is a favorite among locals. 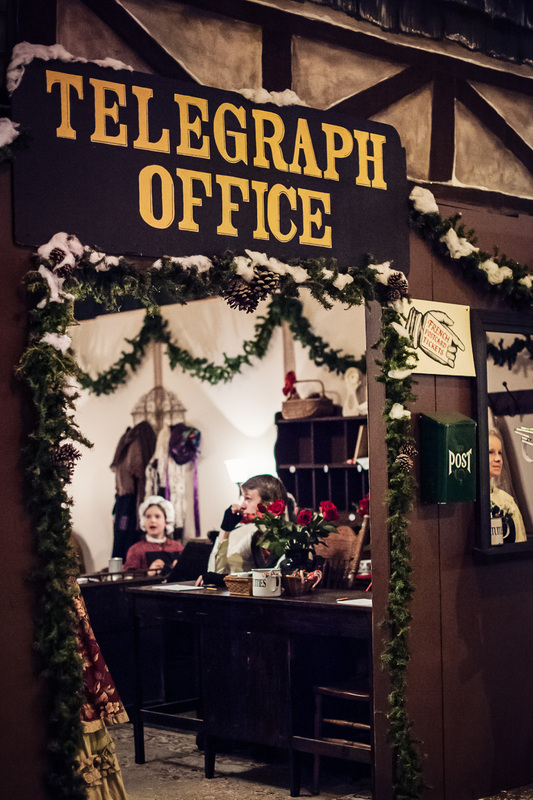 This is the Great Dickens Christmas Fair. To see all photos from the past 3 years, please the Dickens Album. Grab a drink and discover the many treasures and things to do. A violinist will play you a beautiful song or teach you a thing or two about their craft. Keep your eyes out for Santa Claus, you may catch him in his sleigh or roaming the streets bringing joy and merry to everyone he meets. Get your fortune read at the Mystic and discover the many inventions of Professor Flockmocker's Laboratory in Ale House Alley. An electrical moon gun, no way! I love the energy of the bar managers (above). Drink up, pay me. I still don't know if this was staged or if counting their cash with such confidence was just their personalities. Either way, well played. If you're not up for drinking, you can always reserve some tea time at Cuthbert's Tea Shoppe. There is as much to do for adults as there is for children. Play your hand at a game. Visit the wand shop, remember the wand chooses you. No Christmas Fair would be complete without a hair wreath. There are so many wonderful crafts brought to this fair by very talented artists. It is a treat to discover new gems. If you would like to check out posts from 2014, please visit the blog. Here is Part 1 and Part 2 from 2013 as well. Send a telegraph or rose to another visitor and they will call out their name to deliver the message. Head to one of the 5 pubs and order a Hot Toddy or Irish Coffee among other delicious drinks. Head over the print shop and see how prints were made back then. Be sure to check the schedule and visit one of the 7 theaters for a very entertaining play. Listen to the traveling carolers on the street and maybe you'll spot Father Christmas. Stop by the adventurers club and hear about war strategy. The fair would not be complete of course without some absinthe tasting at the Bohemian Pub. Check out Artisan Flamework by artist Andre Nigoghossian. Beautiful handmade glass pieces. Stop by the puppet booth and watch a show. My husband bought two figurines for us, made out of wood I believe. An old camera! No way! His setup looks really heavy. Also spotted is Mr. Charles Dickens. Before you leave, definitely pick up some warm roasted chestnuts. You'll also find Ghost of Christmas Present wandering the streets. If you would like to see photos from 2013, please visit my other blog posts, part 1 and part 2. The Great Dickens Christmas Fair took part on 5 weekends between November 23rd and December 22nd at the Cow Palace in San Francisco. It was a magical Christmas affair filled with spiritful and friendly entertainers, good food, and lots of vendors to see. I went back a second weekend and took pictures of all of these amazing entertainers. Mark your calendars for next year, running on weekends from November 22nd to December 21st. Be sure to not miss out on this delightful gathering! Plenty of yummy hot toddies, irish coffees, and hot buttered rums to go around. Hand drawn portraits by the artist in residence, Louis Nuyens. Need a new corset? Dark Garden Unique Corsetry has many options. These models posed as mannequins to show off the beautiful corsetry. Try fencing at the Corinthian Rose Sporting Club. Around tea time, we headed over to Cuthbert’s Tea Shop for some sandwiches and tea. Make a reservation weekends in advance to secure a spot. Have tea with the Red Queen and the white rabbit. Listen to some great music by The Conventry Carolers.